Delicious and nutritious home-cooked meal for two! Simple to make but will definitely impress your loved one when served. 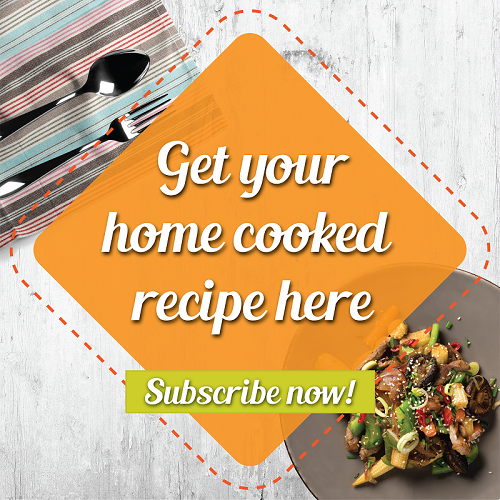 This Wholesome Meal for Two recipe is shared by veteran home cook Anne Leong who loves to cook dishes that are not only delicious but also healthy. Convenient yet delicious home-cooked meal. 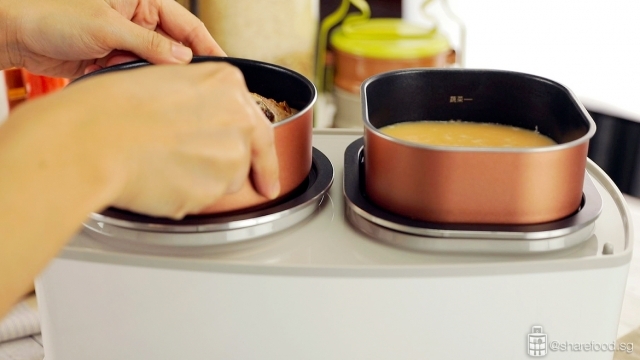 Cook an entire meal for two in one cooking appliance! 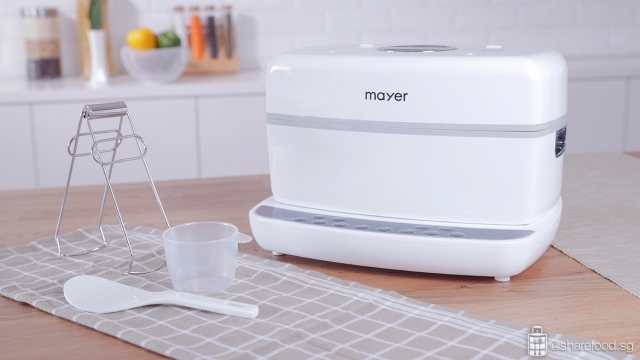 With the help of the Mayer Set Meal Cooker, you can easily prepare a nutritious and well-balanced meal for two with ease. Simply pop in all the ingredients and stack them in the cooking appliance. Press a button and leave it to cook. You'll have an entire meal waiting for you right after! With this Mayer Set Meal Cooker, you can easily prepare a nutritious and well-balanced meal for two with ease. 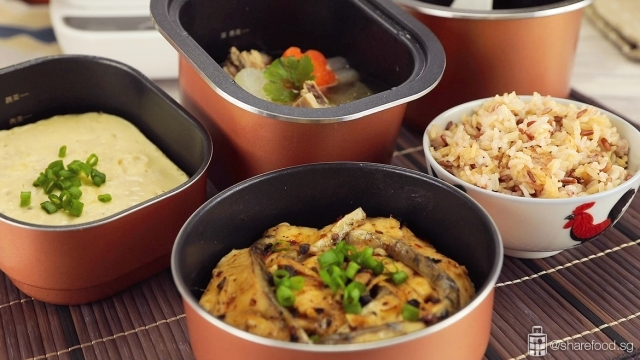 To prepare this nutritious wholesome meal, we used the Mayer Set Meal Cooker. With this cooker, we are able to cook 3 dishes and prepare fragrant brown rice at the same time. 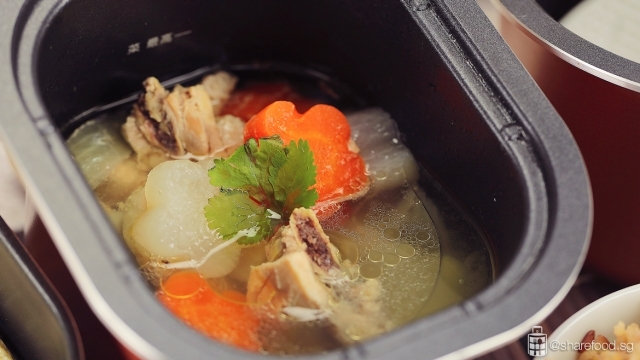 The dishes we made are Steam Fish Slice with bean paste, Steam Egg with minced pork and Carrot Chicken Soup. 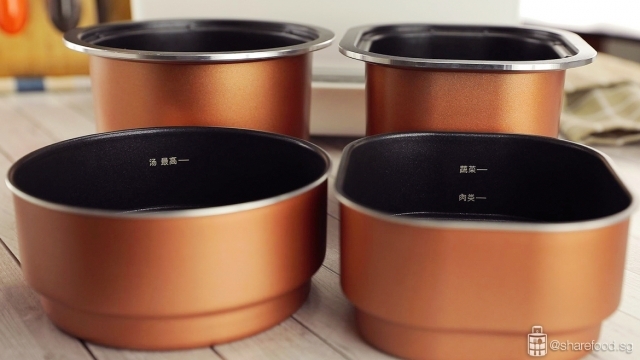 The set meal cooker is a stackable cooking set comprising of 4 separate tins. All you need to do is marinate, prepare the ingredients and pop them into the designated tins. Stack them up and leave it to cook. Once it's done, you'll have a hearty meal that no one would ever think could be done in just one cooker. This appliance is brilliant for busy individuals who don't have the time to cook but still wish to have a healthy and nutritious meal at home. 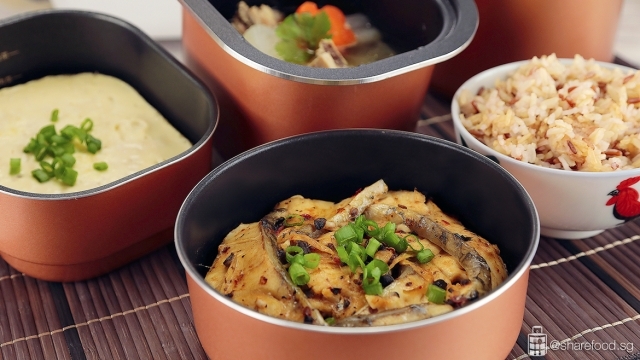 The set meal cooker is a stackable cooking set comprising 4 separate tins. Simply pop in all the ingredients and stack them in the cooking appliance. The Mayer Set Meal Cooker is also easy to use and beginner cooks would have no problems using this cooker. Fret not on it overcooking or that that the liquid from the soup might overflow as this cooker has a micro-pressure and anti-overflow cooking function to prevent it from happening. Cooking a meal for two doesn't get any simpler than this! 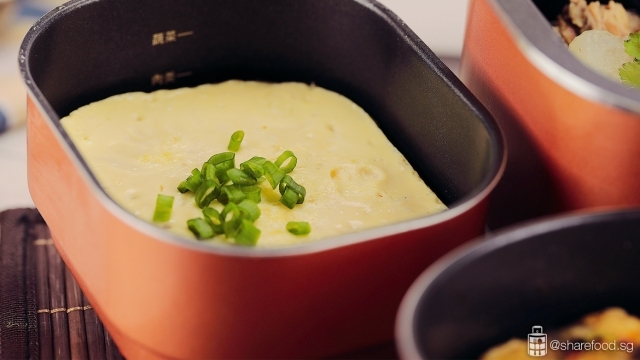 Rediscover home cooking with this amazing meal cooker! Now you won't have an excuse to not being able to enjoy a comforting home-cooked meal. Delicious and nutritious home-cooked meal for two! Simple to make but will definitely impress your loved one when served. 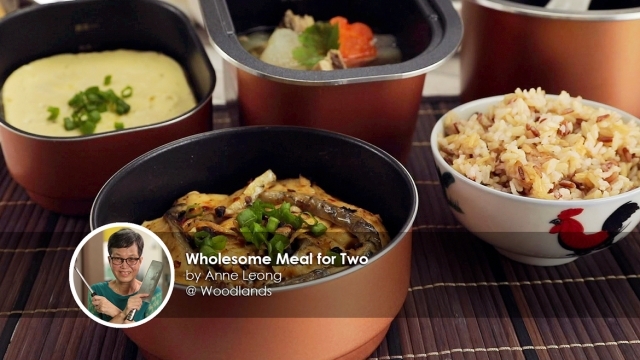 This Wholesome Meal for 2 recipe is shared by veteran home cook Anne Leong. 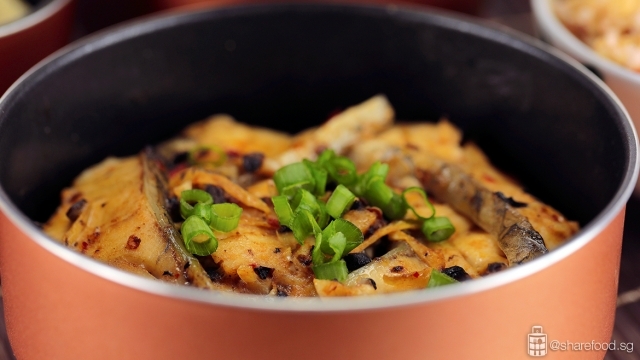 Dish 1 (Steam Fish Slice with bean paste): Mix all marinade in a bowl. Coat fish with cornstarch and add into the marinade. Stir to coat evenly. Set aside. Dish 2 (Steam Egg with minced pork): Crack the eggs into a cup. Add salt, minced meat and water into the measuring cup. Mix evenly. 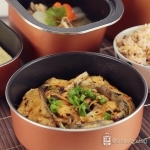 Dish 1 (Steam Fish Slice with bean paste - Small round tin): Lay tau pok in the round tin. Lay marinated fish on it. Dish 3 (Carrot chicken soup - Large square tin): Add all the ingredients into the pot. Pour in water until it reaches the mark. Rice: Pour rinsed rice and water into the large rectangle tin. Fit the tins into the cooker. Select “Fast cook” and let it cook for 36 mins. Once the time is up, select “Cancel” and you may lift up the lid to check on the food. Once the dishes are fully cooked, add soy sauce and sesame oil on egg. Then serve while dishes are still hot.